Derivative of original by olavXO used with CC. Do you have that one friend that loves you where you are? No matter the mess you are in? Someone you can call in your happy moments and share in those painful moments? Someone who encourages you and prays with you? Someone who gives you godly counsel and not worldly instruction? Someone who you can trust that what is confessed in your quiet conversations will be held in tight lipped secrecy? Someone who tells you when you are wrong, not to see you hurt, but out of a love for you, to see you grow in Christ? Are you that kind of friend to others? I’ve been blessed to have a few of these friendships in my life. God raised up women to be that “Iron sharpens Iron” friend for me. Oh how I’m blessed. One in particular stands out to me today. I’ve called her crying so many times as I’ve walked thru some of the hardest times in my life. I’ve called her filled with joy as I share about break through’s, even of the smallest in nature. She has been there to cry with me, share my pain, laugh with me, correct me when I’m wrong, encourage me and pray with me. All the qualities I listed at the beginning of this post. What a gift from God! There has even been times when I called her crying, hurt and angry about my husband and she responded to me with understanding my feelings but also with correction in how I failed in my communication with my husband and how I could have responded better to him which in turn would have helped the conversation or situation I had with my husband. She encourages me to be a better wife, the wife God wants me to be. How blessed am I!?! God knew I needed her and all my close friends. His timing is perfect with each friendship! The bible tells of several great friendships for us to look to as examples of how we should treat our friends. Look at the book of Job. He had three close friends that when only hearing of his misfortune they came to his side with intentions of comforting him. Seeing his great grief and pain they sat in silence with him for seven whole days. WOW! That’s amazing! Seven whole days! Look at the book of Ruth. Ruth became friends with her mother in law and stayed with her all her life; out of love and loyalty for her. Even Jesus himself had good friends: Martha, Mary and Lazarus. They spoke plainly with Jesus. The bible tells us in John 11 that Jesus wept when he saw Mary crying over the death of her brother. He even raised Lazarus from the grave. I want to encourage you to take time and be intentional about creating and nurturing these friendships in your life. They are so important. Pray and ask God to bring those women into your life whom He wants you to be close friends with. God wants you to have good things, including good friendships. You must be a good friend to have good friends. Don’t let the busyness of life rob you of a great friendship. With all that said, let’s remember that God can be closer to us than any friend could ever be. He is always there. He loves us where we are. Nothing we could ever do can separate us from His love for us. I thank you for all you are. You are beautiful. Wonderful. Amazing. You are enough for me. Thank you for the friends you have in my life. Thank you for their friendships. Help me to be the godly friend I am suppose to be for my friends. Give me wisdom. Renew my mind and heart. Raise me up to be all that you created me to be. I love you Lord. In all this I ask in Jesus’ name. Amen. 5 Ways to be Less Stressed. For the Wife and Mom who is Tired of Waiting. 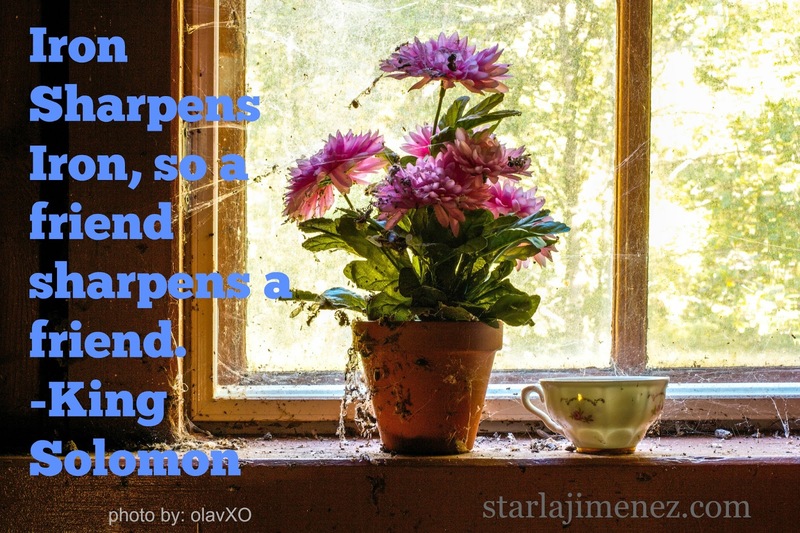 Iron does sharpen iron. Love this wisdom! 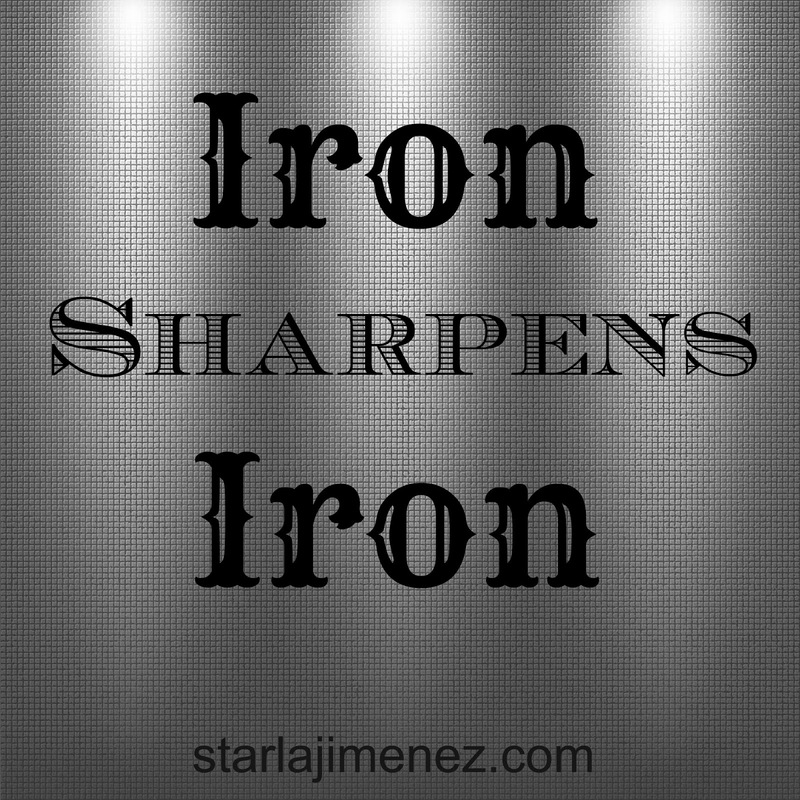 Thank you for sharing Iron does sharpen iron. through building trust and friendship help us to grow and care for others. I am thankful for the friends in my life. I agree. I'm thankful to. I appreciate you stopping by! It is hard to find friends like that. I am so thankful that you have this godly friend. God brought them into my life at just the right time! I'm thankful! Yes, it is very difficult to find friends like that. Right now, my husband is that friend. We are both in a season of life where it is such a challenge to find good, GODLY friends who point us to Christ. A friend like what you've described, like what you have is a rare treasure indeed. Very rare. yes, we do need godly friends! I am so thankful for those who have been true friends to me. I haven't been prioritizing my friendships lately due to the busyness of life. Thank you for the reminder. I'm blessed for sure. 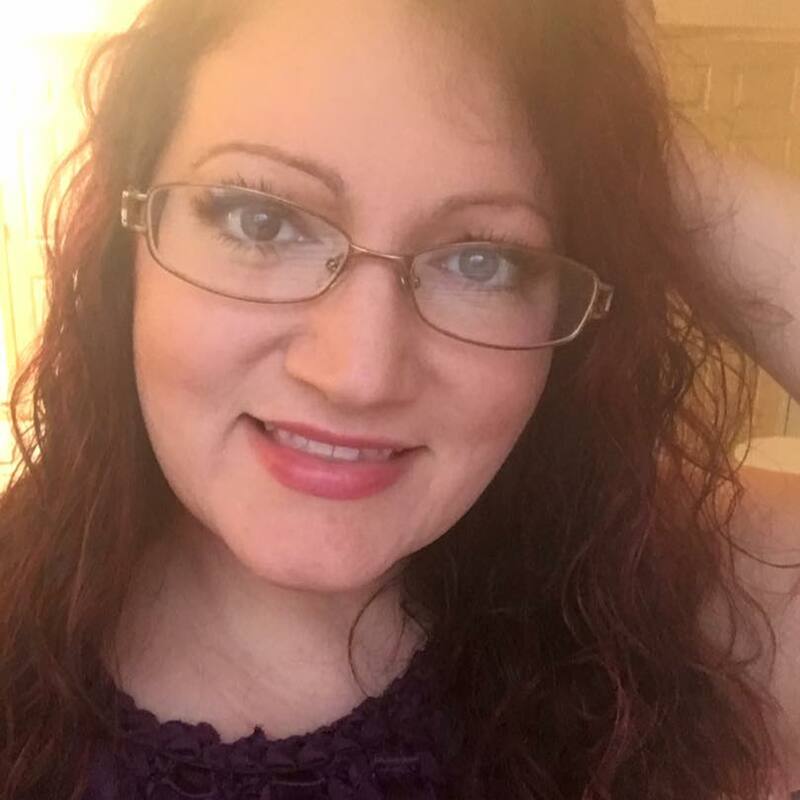 Thank you for taking the time to stop by and comment. May the Lord help me be that kind of friend to the ones He blessed me with! This is a great reminder to us all! Thank you for such a great post. So important to have friends who build you up and encourage you, and to be that kind of a friend, too. Thanks for the reminder! I am lucky to have several of these in my life. I pray that I make a concerted effort to be this kind of friend back. This is a great post. I am very thankful that I do have friends like this. I pray that I would also be a great friend to others as well. Thank you! I am thankful that I do have friends like you have described, and I pray that I can be a ray of sunshine to mine as well. Great post. Thank you!